You will never have to touch the surface of your paint! 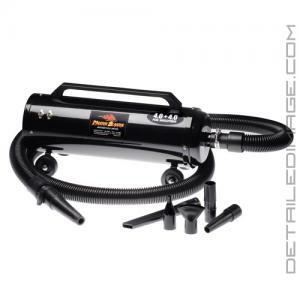 Metro Vacuums Master Blaster Car Dryer will allow you to remove water from the surface of your car quickly and easily! The Metro Vacuums Master Blaster is a powerful dryer that will allow you to dry off your vehicle with ease. 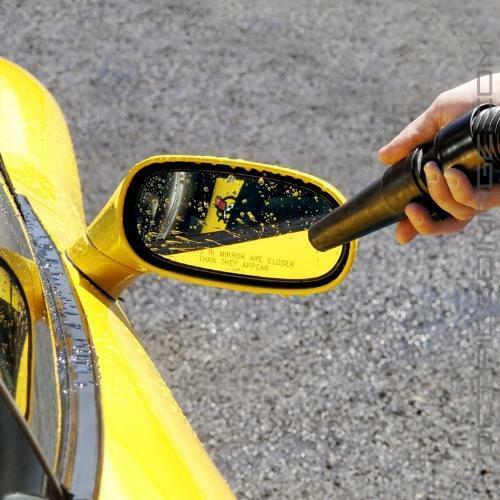 Water will often hide in cracks and crevices of your vehicle and drip out causing streaks and water spots when you least expect it. 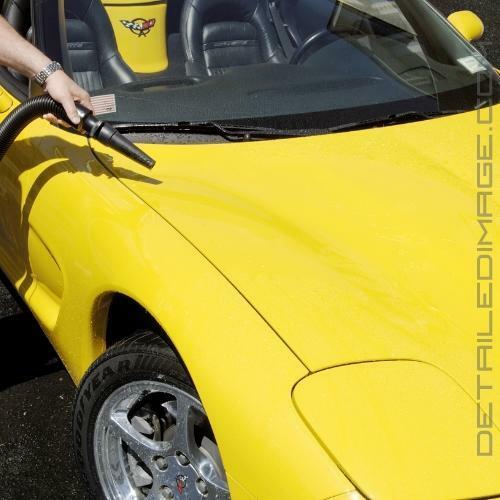 Use it to remove water behind side view mirrors, trim, wheels, lug nuts, rubber moldings and so much more! This blower packs a powerful 8 HP two stage dual fan motor that will help you remove this water and dry off your entire vehicle within minutes! 58,500 ft. of air per minute is at your disposal once you flip the switch on this machine. The 10 ft. commercial-grade hose and 12ft cord give you the range you need to reach those nooks and crannies safely and easily. The Master Blaster however is not all about a powerful motor. This dryer is proudly made in the USA and boasts a durable all-steel construction design, so you know this unit will last for a long time! If you are looking for a fast, easy and safe way to remove water from your paint, the Metro Vacuums Master Blaster Car Dryer is for you! If you are interested in this Master Blaster, you may also be enjoy the Metro Vacuums Blaster Car Dryer and the Metro Vacuums Blaster SideKick Blower! Absolutely the best decision made was to go ahead and purchase this product. We love it and purchased two of them and highly recommend to all. Very powerful; this is a real pro piece that will amaze you with the power it puts out. Make sure you have a dedicated 20 amp circuit and 12 gauge+ extension cord. Does the trick; that's for sure. 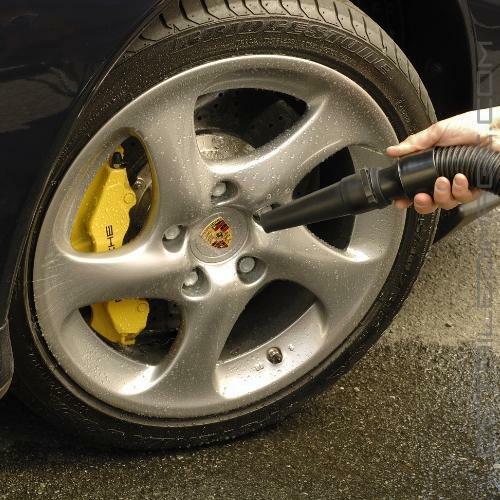 Works better than an air compressor and in the end; very little towel is needed to finish the car. Impressive tool. Pros: 58,000 cfm does an excellent job of drying vehicles. Cons: Wearing ear protection is advised when blowing out gaps between panels & trim; Longer power cord would negate need to buy 12 gauge 25' extension cord; 20-amp circuit (not 15-amp) is highly recommended; the front end bends in when pushing on the blower hose (internal support or thicker gauge metal would help).